When a pipe breaks and leaks water or natural gas into your home, you need to take immediate action to prevent significant structural damage. This starts with finding the source of the leak through a leak search. 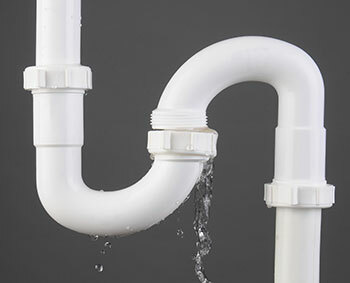 Diagnosing a leaking pipe can be a simple process if the leak is in an obvious location, but what if the leak is obstructed by a wall, ceiling or something else? Master Plumbing & Mechanical conducts diagnostic leak searches to find the source of your leak before taking steps to repair any broken plumbing. Master Plumbing & Mechanical has high-tech equipment that can make finding a leak behind a wall a cinch. But the first step to getting a leak located is to know what telltale warning signs to look for to realize that you have a hidden leak in the first place. Peeling or bulging wallpaper: If wallpaper begins to prematurely peel or bulge in spots, it’s likely due to a broken pipe behind the wall leaking water. Discoloration: Yellow or off-white stains on a wall are a good sign that a pipe has broken somewhere behind the wall, causing the unsightly discoloration. Mold or mildew: When water leaks in an unventilated area such as behind a wall, mold and mildew can grow and spread, which is not only unpleasant to look at, but can also be a health hazard. Water bill increase: An unexpected spike in the water bill could be due to a hidden leak somewhere behind a wall, driving water usage up and causing damage. Even a small leak can lead to dozens of gallons of wasted water per month. While a water leak can lead to significant property damage, a gas leak can be potentially deadly. For that reason, gas lines should be inspected on a regular basis. As soon as a homeowner suspects a natural gas leak, either due to the smell or an appliance not operating properly, the first step is to turn off the gas at the main source. The next step is to call a licensed gasfitter professional, like Master Plumbing & Mechanical, to diagnose and repair the gas leak. Although homeowners may be tempted to attempt to save money by repairing the gas leak on their own, a licensed professional is the only way to make sure that a dangerous leak is repaired quickly and safely. Master Plumbing & Mechanical services the Washington, D.C. metropolitan area. If you suspect a water or gas pipe leak in your home, contact us to schedule a leak search.